David Aukamp, ERYT-200 is the Director of Springs Yoga Studio and co-founder with his wife RuthAnn. Having come from a healthcare background, David uses his knowledge and understanding of the human body to help students enhance movement and function. He brings a calm demeanor to class and encourages each student to pursue the essence of an inner yoga practice linking breath and postures. David has studied with Jonny and Bryan Kest, David Swenson, John Friend, Thom and Beryl Bender Birch, Baron Baptiste, and many others. Participating in workshops at least four times a year, David is continually working on deepening his understanding of yoga for himself and his students. 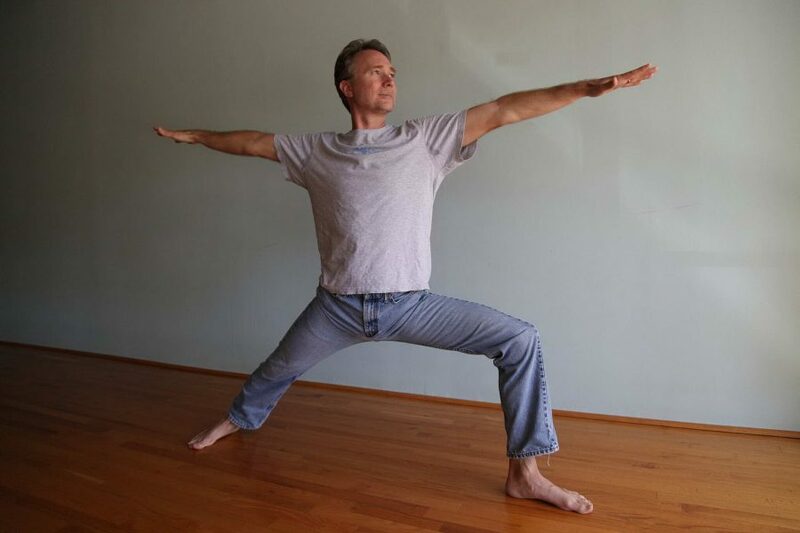 David received his doctorate in Chiropractic in June 1994 and is a certified Yoga Teacher.